Kakao will always do its best to achieve balanced connectivity and security. It's important to know how to define problems with a different perspective and to persistently investigate approaches that can solve the problems. 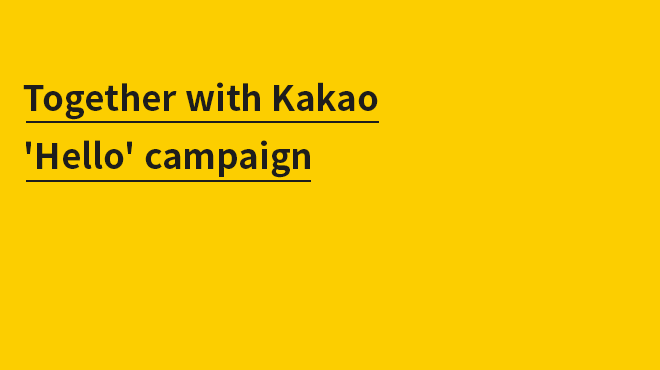 Commemorating the International Day of Happiness, Kakao introduces the Hello campaign!